First we use cellphones with one regular sim, but since network here in the Philippines is more than one, dual sim cellphones was made available by low-end china phones. 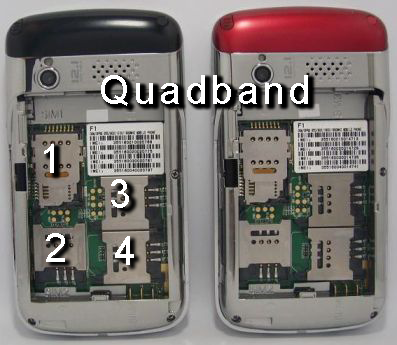 Later, local mobile phone producer created their own version of dual sim cellphone. This enables consumer to have one of the two biggest network of their choice plus the irresistible sun network. So it's either smart or globe for the first sim slot and then their sun sim with its very affordable unlimited plans. Thus, Filipino consumers had their two sim - dual band mobile phones. So what's next, guess what, the tri-band cellphones. Since we have three independent network providers, having a tri-band cellphone just suited our needs. With the three sim active on a single phone, we can have our smart, globe and sun sim all in a single pack device. Now, who doesn't want that? And yes again, you guess it right, the next number should be four right? Now a mobile phone having a four sim card slots was just made available on the market. Though this device is reportedly manufactured from china, I believe that Filipino just want to see if it's working right? Oh, and the assurance that it doesn't have melamine. 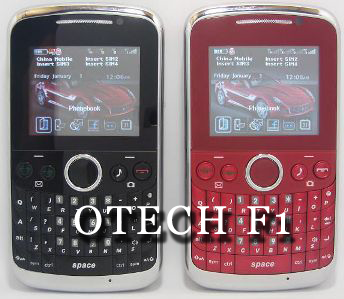 The china model OTECH F1, gives you the freedom to have a four active sim card all on stand bay. With this you can also see on your screen a four signal display at the top right. 2.) Touch Screen -- whowaaa! isn't that something? However, this cunning model is currently available in china only, but it is expected to hit the Philippines very soon.